Dog owners usually begin to wonder what the life expectancy of their German Shepherd is after they have lived with them for some time. The thought of not having your beautiful German Shepherd around is a terrible thought, but one that must be faced eventually. 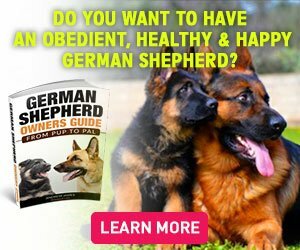 Healthy German Shepherds that are properly cared for usually live between 11 and 13 years. There have been many German Shepherds that have lived well past 13 years old. It is difficult to determine exactly how long your specific GSD will live without knowing its health history. 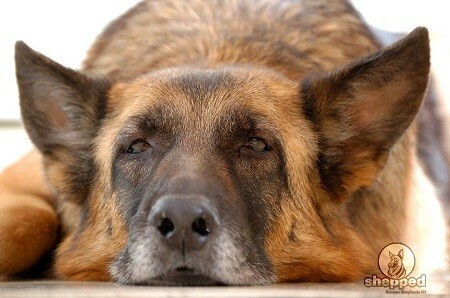 During the next veterinarian visit discuss your interest in your GSD life expectancy. Your veterinarian will give you a general idea determined on your dog’s health history. You can also discuss what measures you can take to help your dog live as long as possible. Usually, this involves a healthy diet, exercise and possibly vitamin supplements. Every dog reaches that moment when the end is coming. This is very difficult for dog owners and family members to accept and even think about. If your veterinarian has advised you that the end is near, begin making plans right away. It is best to have plans in place, so you don’t have to make harsh decisions when you are grieving. Sit down with your loved ones and discuss what is best for your dog. If you choose an at home burial make sure you inquire about the pet burial regulations in your city or town. It usually involves burying your pet far away from water sources. Remember to follow all instructions provided to you by your community. If you prefer to have your beloved GSD buried at a local pet cemetery, you will want to contact them and visit them to make arrangements ahead of time. Some dog owners may prefer cremation and can seek information from the veterinarian on how to proceed with this request. Create a Memorial for Your GSD. Whether you decide to bury your German Shepherd at home or choose cremation, you can still create a memorial. Some dog owners and their families find comfort and peace when doing this type of tribute. You can choose a small area in your home or your yard. Make a collage of pictures of your GSD that have been snapped during his exciting lifetime. Try to choose pictures that are happy and inspiring and that will bring joy to your hearts instead of sorrow. Choose an outdoor area for your memorial and place rocks or your dog’s favorite toy in a special area in your outdoor garden. You can choose to place any items you wish there that will bring you peace and serenity when thinking of your beloved dog. You can even choose to plant a tree in honor of your German Shepherd. This is a wonderful way to honor his or her life. It is therapeutic to watch something grow and flourish after you have lost a loved one. Many dog owners choose to fill the gap of their missing loved one by filling it with a new GSD. This does not replace your beloved dog that you lost, but it helps fill the emptiness in the house after his or her passing. Also a new dog gives you and your family something new to focus on and fill your hearts with. Not every dog owner can handle welcoming a new dog into their life so soon after the passing of their GSD. This is something that is decided on individually. Some dog owners need time to heal before they can move forward with a new member of the family. Dog owners are finding new and inventive ways to honor their German Shepherds. Some are even choosing to create foundations in their dog’s memory that are geared towards helping other dogs. 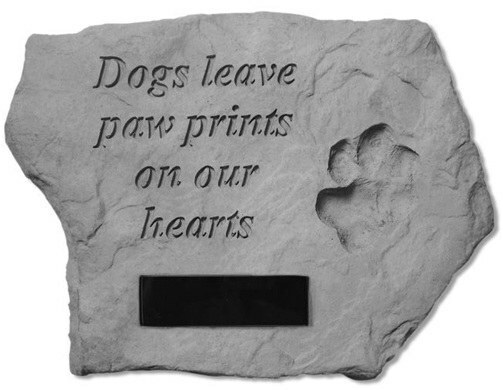 This is a beautiful way to allow your dog’s name and memory live on for many years to come. There are plenty of captivating ways to remember your GSD and new ideas pop up every day.